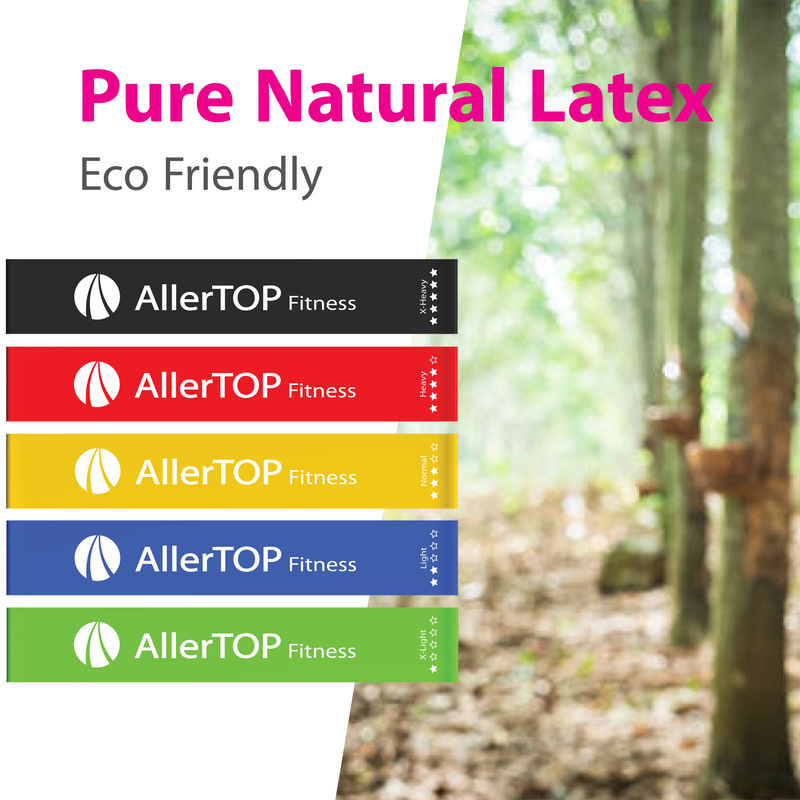 Made of 100% natural latex without rubber polymer compounds for the highest quality and they are very environmentally friendly – share with your friends. Take 5 minutes breaks during your busy working hours, do your exercise in a hotel room when you travel, tone your muscles while watching TV at home or take it to the Gym for a complete workout for yoga, aerobics, and crossfit. It comes with 5 bands with different colors and strengths of light, medium and heavy resistance. They can all be stored in a small carry bag for traveling. 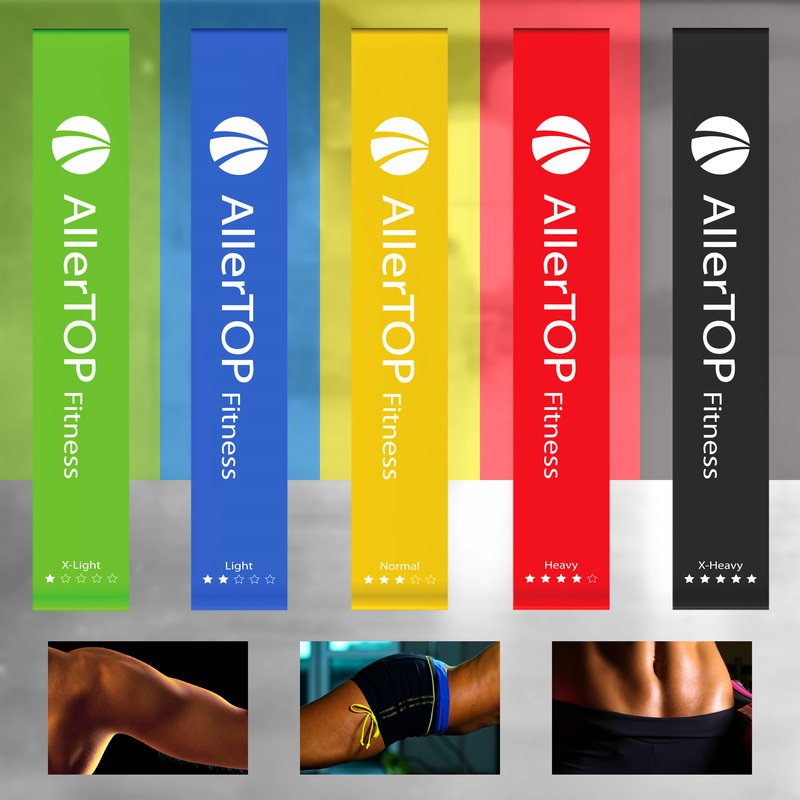 AllerTOP fitness bands are small, lightweight and strong. 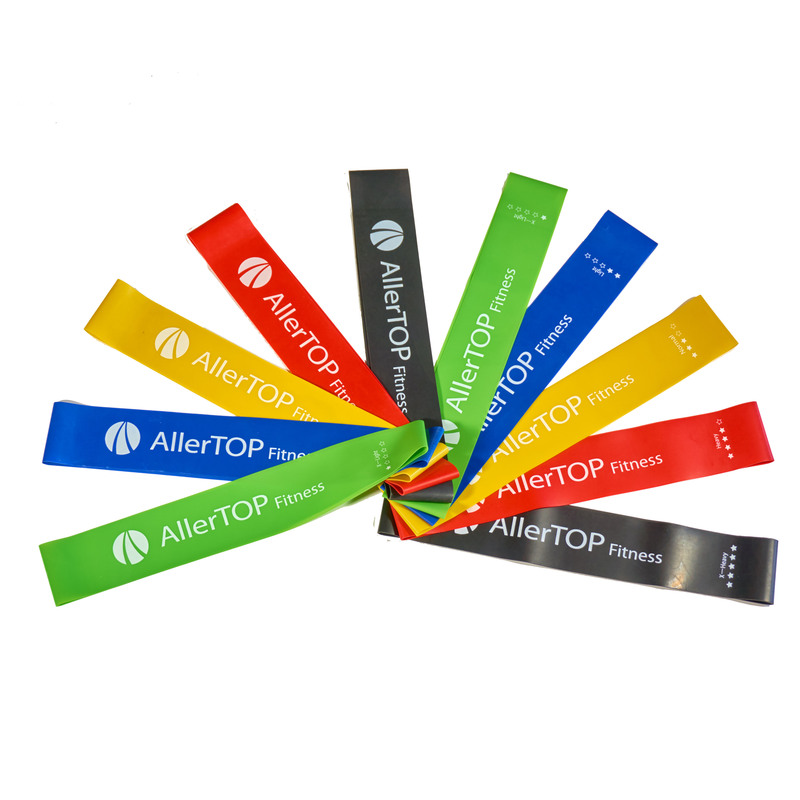 AllerTOP resistance bands are made of 100% natural latex without rubber polymer compounds for the highest quality and they are very environmentally friendly. Improve strength of major muscle groups. 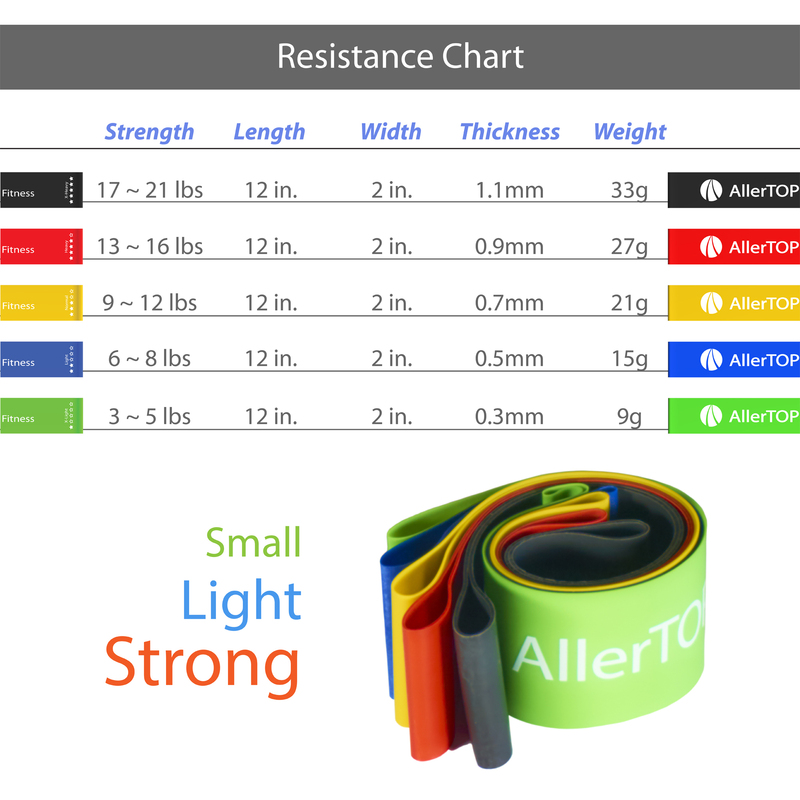 The 5 pieces of 12″ Resistance Exercise Loop Bands are perfect for people who are either casual fitness enthusiasts or professional athletes. For women recovering from pregnancy after giving a newborn baby, the resistance bands are perfect fitness devices to shape up the abdomen. For people recovering from injuries, the resistance bands are also ideal choices during the physical rehab therapy.